Makar Sankranti is just a few days away and most kids and youngsters are super excited about it. But while you enjoy the kite flying, you should be aware of how this festival harms birds and sometimes animals. Just imagine what the deadly manja could do to a bird if it is capable of cutting your fingers each time. 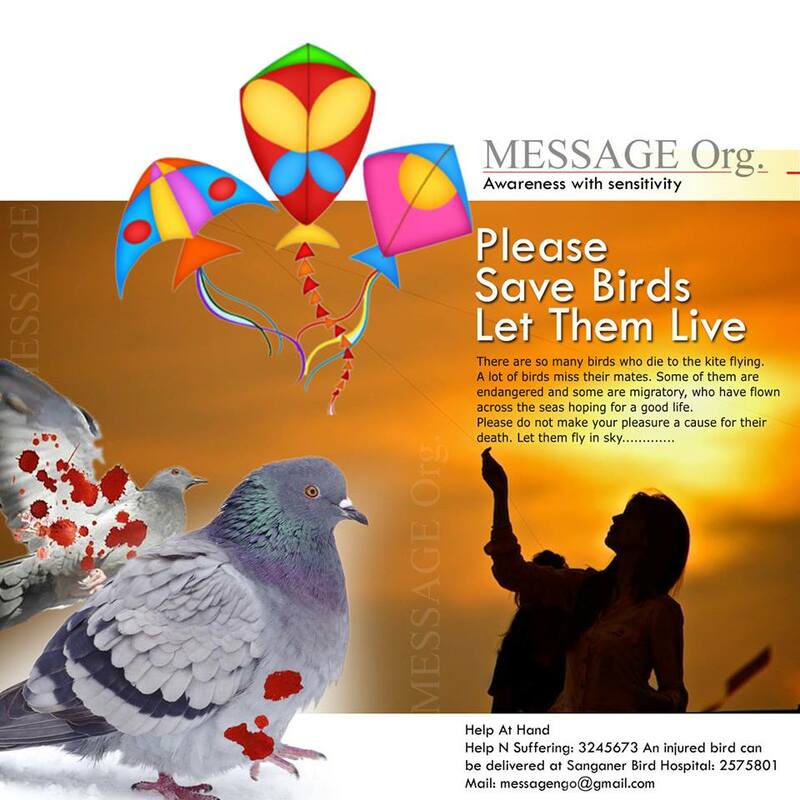 MESSAGE Org run a awareness campaign in social media endeavor to save birds. Through the “Save Birds Campaign” we aim to bring about not only a collective change in the mindset of citizens but also hope to save maximum birds. Let them fly in sky…………. There are so many birds who die to the kite flying. across the seas hoping for a good life. Please do not make your pleasure a cause for their death. “In case anyone finds an injured bird they should not hold it with bare hands. First, they should drop a piece of cloth on the bird’s eye to prevent it from seeing so that it does not struggle and injure itself further,”. If possible, people should keep the bird in an empty shoe box before they call the helpline number.